I’m excited to share my first post in my NEW Reader Spotlight series. I love when my readers reach out to me and share their purchases or information learned from ARTicles of Clothing blog. Nothing is more satisfying than connecting with my readers and hearing that AOC Blog has made an impact in their personal style and their wardrobe! The reader in today’s feature purchased a dress based on one of the first posts on AOC Blog: Every Woman Should Own a Dress by this Brand. This post features one of my all time favorite lines, Tart Collections. The brand’s signature is its sleek jersey material that is both incredibly comfortable and drapes beautifully on the body. Over the years, Tart Collections has expanded from its trademark dresses to a full line of apparel, outerwear, intimates, and swim! If you’re looking for the ideal piece to take you from day to night or work to play, look no further than Tart Collections. 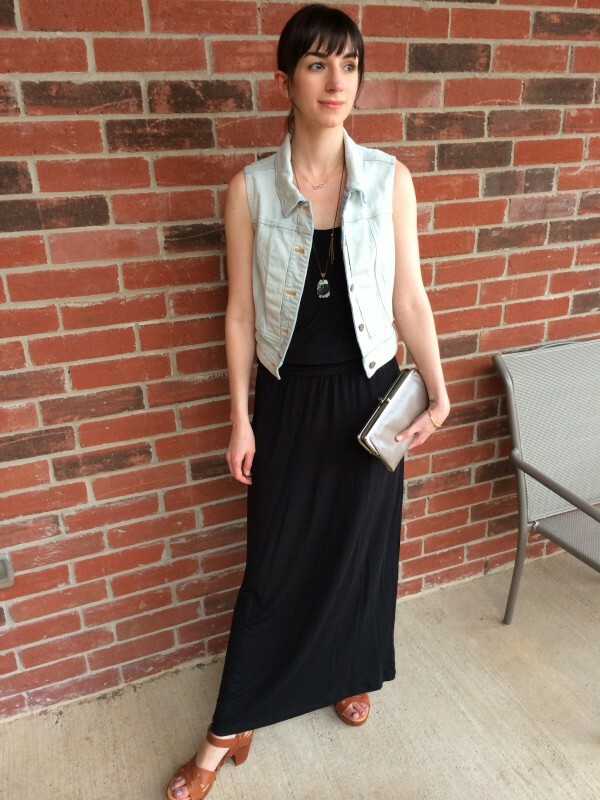 This reader is wearing one of Tart’s classic maxi dresses styled with the Hobo the Original Lauren Wallet, the accessory I deemed “the best wallet you’ll ever own.” Although the Hautelook sale event featured in my original post had ended, this reader also took into account my motto “never pay full price for anything” when shopping for her Tart maxi. She visited one of my recommended members only sample sale sites, Gilt Groupe, to purchase her first Tart Collections dress! Tart is a brand that is consistently featured in limited time sales events on such sites, so you too can snag you first Tart frock for a steal. The new Nordstrom Rack online is another great place to shop discounted Tart merchandise. They currently have over 50 Tart Collections styles in stock, including nearly 20 styles of dresses. I personally own an array of styles of Tart dresses – from strapless to long sleeve – and each is uniquely flattering and feminine. If you have purchased an item or implemented advice featured on ARTicles of Clothing Blog, I would love to hear from you! Connect with me with the details and you could be the next reader to be featured in my Reader Spotlight Series! So, I said I’d be coming to you with quick posts during my crazy week, but today I carved out some time to share a story that’s long overdue: My Midwestern Fashion Journey. Last night I attended a fashion panel Q&A/discussion in Madison, Wisconsin. I know that fashion exists everywhere. 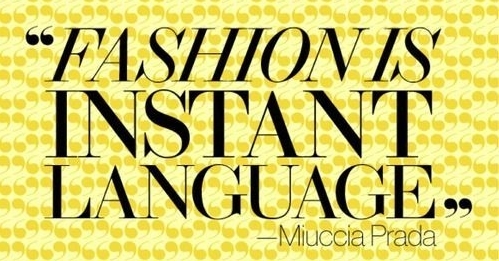 “Fashion is instant language.” It’s something we don’t need words to understand – it speaks for itself, it tells its own story. Fashion is something that is part of every community and culture, whether people are cognizant of it or not. So, I won’t go on to make the broad statement that I didn’t know a fashion community existed in Madison. It’s the home of online retail giant Shopbop for goodness sake. But after living in Madison for the past few years, the fashion community didn’t exist to me until last night. I like to think of myself as one who thinks outside of the box when it comes to city searching. I grew up with a mom who was a tried and true foodie before foodies existed. Every weekend we’d get in the car, leave the confines of suburbia, and scour every corner, hidden gem, and local hole in the wall in Atlanta for the best butter, cheese, produce, and chicken. But, somehow, when I moved to Madison I fell into the classic pitfall of a GEN Y city girl. Madison is a small town with a Midwestern culture, both of which are pretty unfamiliar to me. When I first moved to Madison, I looked for those familiar fashion faces to anchor me. I located the local Anthropologie and Sephora… and… that was about it. No major department stores at the malls? No Nordstrom Rack? No Lululemon? (Please note a Lululemon has since been built in Madison.) I immediately strapped on my skeptic hat about the existence of a fashion community here. Perhaps, I thought, Madison is a town concentrated with local boutiques. This is the case in my former college town, Athens, Georgia, but Athens is about half the size of Madison and just about an hour and a half from the heart of downtown Atlanta. Still skeptical. As a GEN Y city girl, I wanted to be inundated with options. I wanted my safe department stores for the basics, the national chains for the seasonal must-have, and the amazing local boutiques too. I felt I’d already struck out on the first two, so I had a pretty bad attitude when it came to the third. I found Hot Mama, a Midwestern chain with closet staples like Michael Stars and Splendid and a pretty great selection of premium denim. Things are looking up. I found an awesome casual/active wear store, Neena, with brands like Beyond Yoga and Rese. Another step in a positive direction. And, of course, there’s Bop. The little brick and mortar caterpillar that later emerged into the major retail butterfly Shopbop. When my mom came to visit for the first time, we strolled in and out of several shops in the State Street section of downtown, and I ventured into the Monroe Street area one Saturday after a trip to Trader Joes, but still, the fashion community in Madison wasn’t really speaking to me. I’d hit a wall, and through inaction, put my exploration on hold. Friends know that I’ve had a real journey acclimating to Midwestern culture and Midwestern fashion. And, yes, I do attribute some of this to my GEN Y city girl mentality. The fashion community in the South is intense. It piggybacks off the pulse of its coastal counterpart, fashion mecca New York City, while adding its own southern charm. It’s very vocal and competitive. In the Midwest, everything is more quiet and laid back, including the fashion. I remember feeling very loud the first time I went out in Madison. Not literally audibly loud, but my outfit was screaming “I’m not from here! I’m a southern, GEN Y, city girl!” Although I still wouldn’t say I feel particularly comfortable in Madison when it comes to my style and meshing with the Midwest, time has truly been my greatest ally, and over the past couple years, I’ve accepted my uniqueness in a Midwestern fashion world. So, I come back to last night: the fashion panel Q&A/discussion. 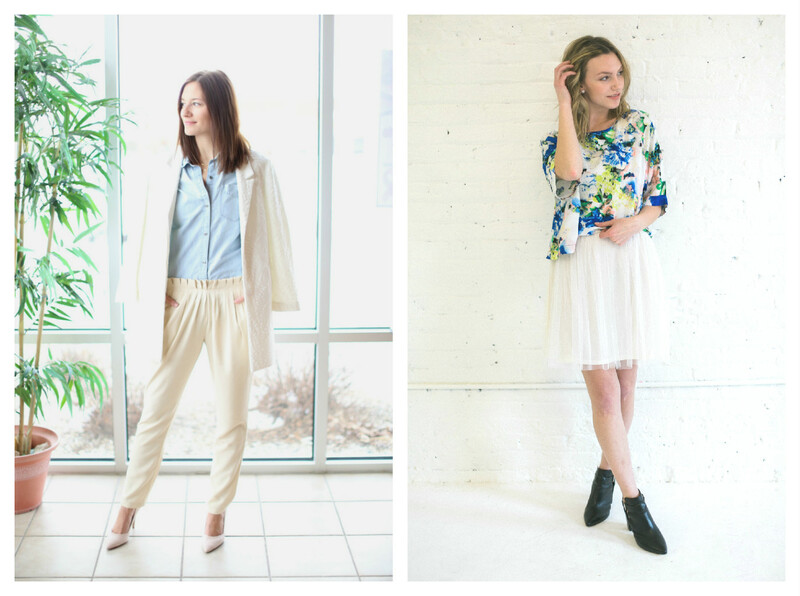 As a fashion blogger for the past eight months, I’ve revisited my desire to explore the fashion community in Madison. A new friend recently turned me onto the Wisconsin Fashion Network, which led me to the event last night. While I’m still fairly certain I was one of the only non-Midwesterners there, I was able to meet some fellow bloggers, local business owners, and other ladies with an active interest in the fashion community. It was truly a breath of fresh air. After a fairly formal Q&A/discussion, we got down to the real conversations over drinks. My two major connections of the night were with GaBrielle Pedriani of Look Sharp, Sconnie and Pamela Wilson of Iona. GaBrielle has completely changed my perception of personal style bloggers with her very honest and unique approach to personal styling blogging that defies the typical I’m always casually standing outside this chic cafe with my perfectly on trend handbag slung over my shoulder aesthetic that many personal style bloggers take. Better yet? Her images are backed with words: rich descriptions, a clear voice, and actual writing ability – things that are sadly lacking in many fashion blogs. Then there’s Pamela. I’m pretty excited to make time for a trip to my newest retail discovery: Iona. After chatting with Pamela last night and heading to Iona’s site this morning, I’m eagerly anticipating a carefully and creatively curated boutique with some one of a kind wares. I definitely foresee a more in depth post once I actually explore the boutique, so stay tuned, and in the mean time, shop the site! I don’t know about you, but for me, this week is going to be crazy! Full of travel, events, my man’s birthday, and out of town company for the holiday weekend in addition to the usual client meetings, work, and of course AOC Blog! So, I’ll be coming to you with some quick posts! 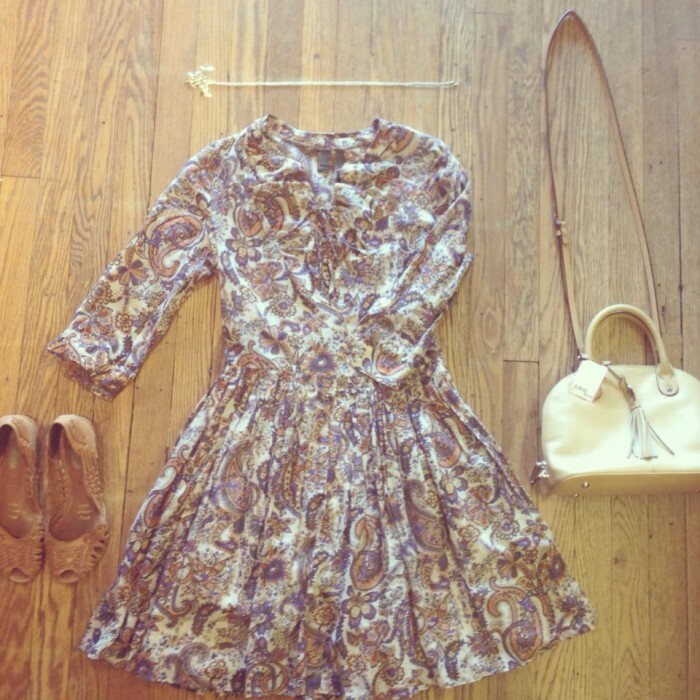 Today I absolutely MUST share with you a limited time event: Nasty Gal’s eBay Auction! Sophia Amoruso aka #GIRLBOSS aka The Original Nasty Gal is getting back to her roots with an event on eBay. In June 2008 (almost six ears ago! ), Amoruso grew her thriving eBay shop, Nasty Gal Vintage, into the impressive empire we know today as Nasty Gal. Amoruso is revisiting her beginnings with an auction of extraordinary designer vintage pieces right from her own closet. The proceeds will go her latest venture, The #GIRLBOSS Foundation, a nonprofit Amoruso is launching in conjunction with her first book, #GIRLBOSS (yes, this girl is on fire!). It’s really all quite poetic. The #GIRLBOSS Foundation’s mission is to empower the next generation of female entrepreneurs in the creative community through a distinctive grants program that provides women in the fields of design, fashion, music, and the arts with the financial support to achieve their goals. The auction began yesterday and will run for the next ten days, ending Thursday, May 29. Below are some of my favorite pieces, available for bid now! As a graduate of the University of Georgia, I will always have an indescribably special place in my heart for Athens, GA (I know all fellow dawgs will agree). Athens has the highest concentration of culture per square mile of any town I’ve ever visited. Within a five mile radius of the downtown area you can dine at some of the best restaurants in the nation and shop at some of the highest caliber boutiques. Athens is also home to amazing spas and salons, quaint local bars and breweries, beautifully curated museums, intimate venues, and more. I could probably write a book praising all of the attractions in Athens, but in this City Hot Spot post, I will keep my focus on the fashion. The fashion in Athens spans from high-end boutiques carrying top designer names to sustainable boutiques showcasing vintage and hand-made wares. It would be impossible to name just one fashion hot spot to visit in Athens. So, I’m breaking the shops down into four categories. Heery’s has a better selection of top end designers than most department stores. The racks are lined with labels like Tibi, Nanette Lepore, Tory Burch, Milly, and Diane Von Furstenberg just to name a few. For over fifty years, Heery’s has been an essential fixture in the downtown landscape. They’re known for absolutely swoon-worthy window displays. I remember many a night passing Heery’s while bar-hopping and having to restrain myself from pressing my nose to the windows to oogle the new arrivals. If you’re on a budget, Heery’s holds phenomenal sales offering up to 80% off twice a year! But wait, it gets better! Whatever doesn’t sell at the major sales at Heery’s goes to one of their sister stores in Five Points, Four Seasons Fashion. Once the merchandise goes here, it’s up to 90% off! I’ve gotten some absolutely amazing items from these sales at a mere fraction of the retail price. P.S. Shop online here. You may have seen me feature Encore in a previous post showcasing their Spring 2014 look book. Encore’s carefully curated look books are just one of the things that set this boutique apart from the countless others in the downtown area. Encore carries all the essential brands like Michael Stars, Sam Edelman, Tart, Joes Jeans, and many, many more. Think of this as the ultimate every-girl’s boutique whether you’re looking for the perfect dress or basic denim. Don’t forget your accessories! Encore also has a full line of jewelry, handbags, and other wares. No matter what your style – trendy, preppy, bohemian, classic – Encore has something for you. Encore’s owner Nikki Grant has truly raised the bar for fashion retail in Athens with tactful buying, impressive styling, and a very relatable online presence that appeals to girls of all ages and styles. Community has added a whole new dimension to the fashion scene in Athens. It is a sustainable boutique situated in my all time favorite space in downtown, right above Jittery Joe’s. Community features vintage apparel and accessories, hand made wares by local artisans, and apparel that is designed in house from vintage pieces. In addition, Community offers sewing and knitting classes, alterations, private shopping parties, and closet consultations. Ultimately, Community has cultivated a place for those interested in the art of fashion design to connect and continue their education. They also demonstrate a strong advocacy for local artisans and sustainable fashion with an emphasis on unique style and impeccable quality. This is truly a carefully curated a one of a kind boutique. P.S. Shop online here and check out their OOTD here! You may have seen me feature my favorite consignment boutique in my Spring Cleaning: Closet Edition post back in April. Even though I haven’t lived in Athens for almost three years, this is still where I go to consign my clothes. I’ve yet to find a better consignment boutique in Georgia or elsewhere! Suska is located about two miles outside the downtown in five points. Suska’s owner, Susanna Drennen, founded the boutique in 2005 with a passion for fashion as well as eco-consciousness. She believes that buying second-hand or previously loved items is a great way to recycle, and I couldn’t agree more! Suska is not another Plato’s Closet. They do not give you cash on the spot. Through a methodical process they hand select every garment and research each item through a number of channels to assess its current value, taking into consideration factors like its original retail price, depreciation, and its resale potential. After the 45-day consignment period, you receive 40% of each item’s value in cash or check or 50% of each item’s value in the form of a store credit. Learn more about their process, policies, and how to consign here.